Fine and scarce English explorer's watch made for the Royal Geographic Society by Lund & Blockley circa 1879 with detailed provenance. 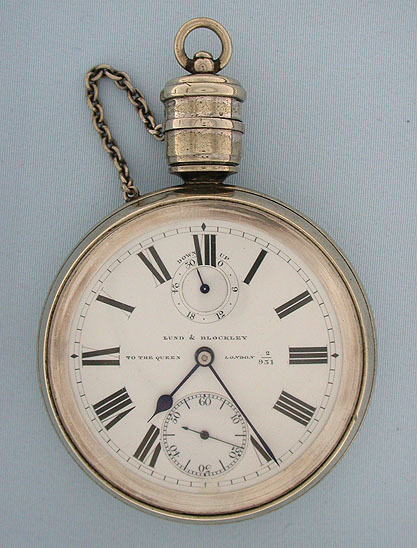 Fine enamel dial with winding indicator and blued steel hands. Nickel plain polish watertight case with waterproof cover over the crown (used for setting only) and a screw-in plug over the hole for the winding key. Fine gilt 3/4 plate lever fusee movement. 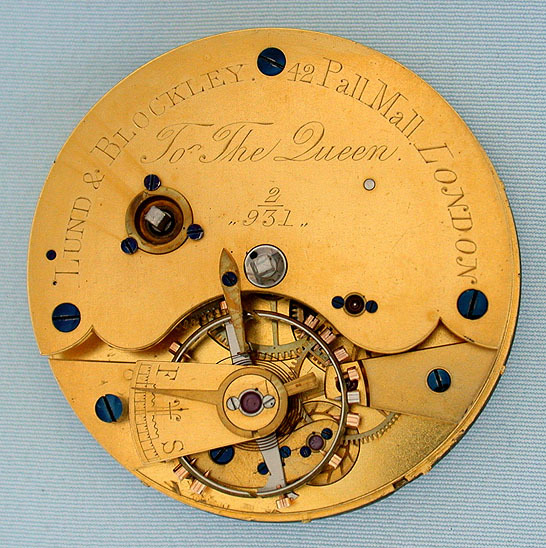 This is one of the earliest recorded watches of this type and the stem set key wind feature is quite unusual if not unique. 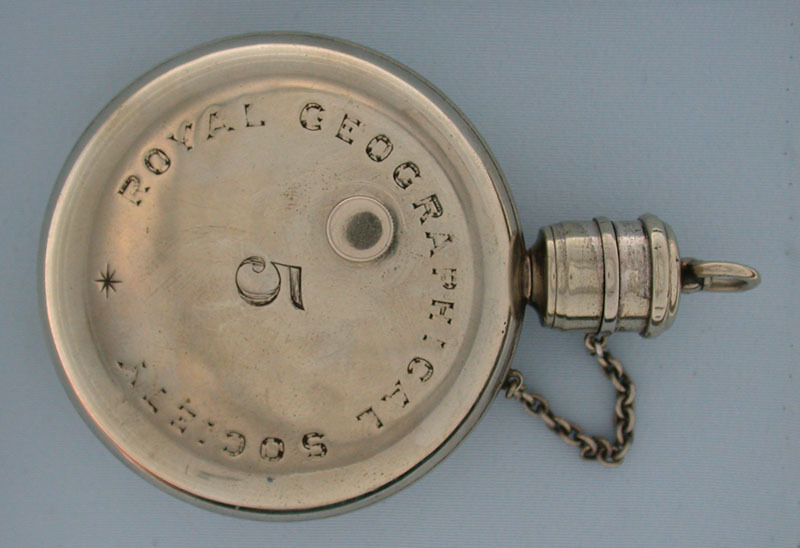 According to the Royal Geographical Society, this watch was used by Keith Johnson and then by Joseph Thompson on the R.G.S. East Africa Expedition that reached Lake Tanganyika and the headwaters of the Congo. Then in 1881 it was lent to James Stewart C.E. and then to W.O. McEwan (attached to the Livingstonia Mission) for use in East Africa. Finally, in 1937 the watch was used by Michael Spender who was the surveyor who accompanied the well known explorer Eric Shipton to the Shaksgam Valley. Accompanied by a reprint of an article about this watch published in ÒAntiquarian HorologyÓ and a copy of correspondence from the R.G.S.